When buying a LED flashlight, there are many factors to consider: Lumen count, Run time, quality, durability and so forth. This post will go over the basic information that will hopefully help you become more informed when shopping for a LED flashlight. LED stands for Light Emitting Diode. An electric current passes through the diode which then coverts the electricity into light. LED’s are highly energy efficient; meaning most of the electricity that is converted is converted into light instead of heat. Incandescence bulbs convert about 2% of their electricity intake into light. The rest of that energy is heat loss. Keep in mind LEDs can overheat shortening their life span immensely if not properly heat-synced. There is still heat loss (just not as much). One or more LEDs are attached to a chip known as the driver which converts the AC main voltage to the correct DC voltage needed by its LED(s). These drivers can be elaborate allowing advance control of the LEDs. Where is my white light? An LED’s light is monochromatic which means LEDs can only emit one color. They are capable of emitting a wide range of color lights depending on what material their semiconductors are made out of. Given that the color output of an LED is based on inorganic materials, there is no ‘natural’ white light. White light consists of a broad spectrum of colors. To achieve this high-intensity white light there are two primary methods used. One method is to use individual LEDs that emit three primary colors (red, green and blue) and combine them. Therefore forming the white-light. This method works, but may cause discoloration of the white-light later on down the life of your light bulb. Since each color uses a different material, the life span of each individual LED can differ. In other words, an LED may burn out before another. The other more popular method is produced by coating LEDs of one color—mainly blue LEDs made of InGaN (Indium gallium nitride)—with a phosphor of different colors to form a white light. This process is known as phosphor down conversion and is similar to the technology used in the fluorescent lamp. There many different manufacturers of LED flashlights out there. Unless you consider truly competent in all that is LED flashlights, I suggest you use the ANSI/NEMA FL1 Standard as a base when comparing flashlights. ANSI/NEMA FL1 is a standardized guide of definitions and testing methods for flashlights, headlamps and spotlights that was established in 2009. In simple terms, it allows consumers a means of comparing the most important attributes of a flashlight. Each manufacturer abides by the ANSI/NEMA FL1 Standard independently and completely voluntarily. The result is a standard that enables every individual a clear means of comparing products. Stick to the flashlights brands that use this standard. True or False: Higher lumens = Brighter flashlight = Better flashlight? “The higher the lumens, the brighter the flashlight; therefore the better flashlight.” seems to be a reliable statement to follow when looking for a bright flashlight. The measure of lumens can give you a relative idea of a flashlight’s Light Output. However when it comes to LED flashlights, you should not rely on that statement alone. You should also take into account the intensity of the beam (Peak Beam Intensity): Two flashlights may have the same lumen count, but one may give a wider beam over a greater area, while the other might focus the light into a more intense spot beam. The same lumen count in two flashlights may not produce equal light depending on the quality of the flashlight’s optics system (ie reflector). Some manufacturers pair a high quality LED with a cheap reflector resulting in a weak/spotty beam or with no reflector at all and simply allow the light output be driven by the performance of the LED itself. Again the above statement comes down to quality. Some manufacturers of cheaper flashlights use multiple LEDs to achieve a high lumen count but pair them with a sub-par optics system resulting in a weak or spotty beam. Another way of looking at this: Take an engine out of a Porsche and place that engine in a Pinto. You will not get the same performance out of the engine while it is in the Pinto. The superiority of the beam isn’t determined by the number of LEDs but by the quality of the LED chips and optical system. The more LEDs a flashlight contains, the faster it will go through batteries affecting the flashlight’s run time. Wha? Not all flashlights throw the same kind of light beam? When looking at the Beam Distance of a flashlight it is important to keep in mind the difference between “How far away the beam can be spotted from a distance” and “How far away the beam can illuminate an object you are looking at.” Beware of vague and unsubstantiated claims made by manufacturers. These claims may or may not be true. Beam distances displayed on the package refers to the maximum distance your flashlight can achieve when optimally focused (spot mode). Some of the best LED flashlights allow you to switch back and forth between a flood and spot beam. A flood light sheds light on a wide area but does not penetrate very far. Flood beams are good for walking, reading and performing general tasks in the dark. 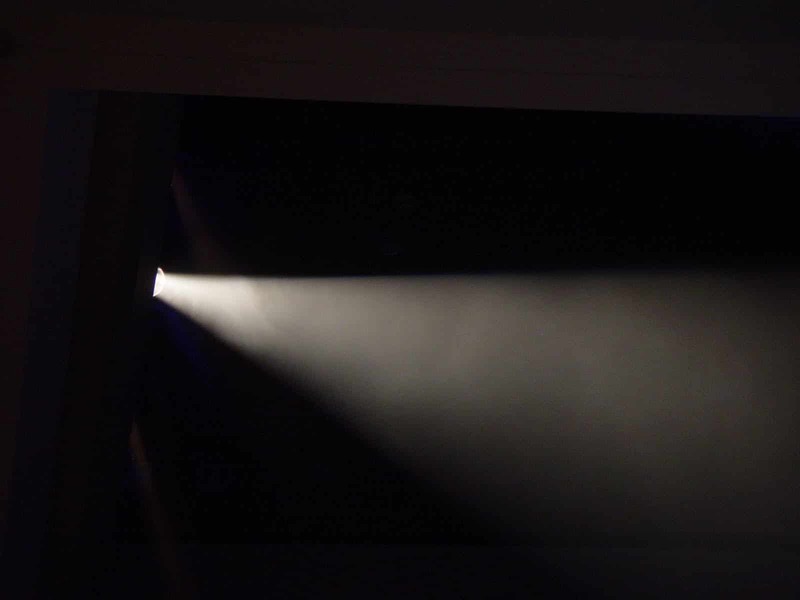 A spot light has a narrowly focused beam designed to provide penetrating light and usually offer a greater beam distance than a flood light. Spot beams are great for mountain biking at night or any fast-paced night activity. Flashlights are thankfully more reliable than the boy in Fifth Element. The Run Time of a flashlight is sometimes as important as how bright the flashlight is. Will you be using the flashlight while backpacking or just as an emergency tool for around the house? Will you be using it under water or keeping it on for long periods of time?These are the types of questions you should ask yourself when looking for a flashlight. Run time refers to the battery life of the flashlight. Do not confuse this with the life span of a LED. A product may say 50,000-hour LED life, but it may only run for a few hours on a set of batteries. Factors may affect the run time: Brightness of the beam, size of battery and temperature. If you are looking at a flashlight with brightness settings, the run time is based on the highest power setting. You can extend the life your battery past the official run time by using a dimmer setting. What does this mean? Brighter the light, the more electricity used, the quicker you will drain your battery. Size and number of batteries should be considered when comparing flashlight run time. You may get a longer run time with one flashlight, but it may require more and/or larger batteries. Temperature (cold, heat and humidity) affects the run time of your battery life. The cooler the temperature, the more you will get out of the battery’s life. The opposite is true: The more hot and humid it is, the shorter the battery life. While this may not be a deal breaker when buying your flashlight, you should keep this in mind when planning for its use. The flashlight’s usage is important. If you know you will need a flashlight that will stand up to some punishment; look for a higher rating when it comes to Impact Resistance. If you will be using your flashlight during inclement weather or near/in streams or lakes; look for flashlights that are respectively Water Resistant or Waterproof. We covered a few of the main things to consider when shopping for a LED Flashlight. Beware of extravagant claims. Read reviews on flashlights before buying them. The more knowledge you have, the better purchase you will make. A well-informed purchase usually always means a happier and more satisfied you. Need some suggestions of some quality brands to kick start your shopping? Coast, Fenix, JETBeam and Surefire are quality brands. If you are looking for more in depth information on LED flashlights before purchasing, please read A FLASHAHOLIC’S guide to LED Flashlights—where I got a lot of my information. Brought to you by our friends at Coast.